Drizzling misty cloudy day at Carrowcrory, The last of the icy snow has just faded away from here this afternoon. Back to hermiting with writing commitments for me. My review of Martyn Bennett's Grit Live, I've seen it! In Ireland, what are you doing through this milder weekend? Warming days at Carrowcrory, and around Ireland, still cool but a very mild Sunday coming up. Cloudy, misting and drizzling here today, currently 8C, 48F, this afternoon, but still another chilly night, tonight though we may escape ice and frost. Beautiful sunny spring-like day coming up, tomorrow, Saturday, it seems, but the milder Sunday looks like being quite wet now. 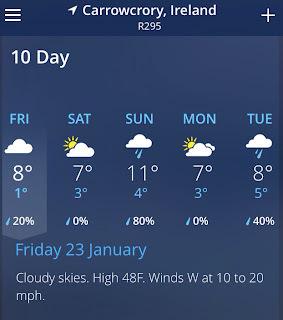 The current Brighid's Day and Imbolc forecast is cooling again, but no snow or ice back in the forecast then. A mix of sun and showers, around 5C highs and 3C lows. Make the most of this upcoming break from winter as there are signs of another week or so of a cold snap brewing for about late first week or 2nd week of February, but March is currently looking good. I watched a fascinating drama documentary on Ireland's RTE TV, a couple of night's ago, 'After Braveheart'. This illustrated the setting of 13th century Ireland, where the people present could be defined, toady, as being two tribes present on the land, these being the Gaelic people and Ango Irish people. The Anglo Irish, being a race of people we call Normans who's ancestors were Norse tribes who had assimilated other tribes such as the Germanic origin Angles and Saxons, the Danes a tribe formed from a crossover of Norse and Germanic races, and the post Roman people of Northern France. Having all these names and definitions of people in 'tribes' is confusing, I know, but doing this somehow seems to keep modern scholars entertained and perhaps even justifies their studies. Overall, the Normans are described as a race, by us today. It was a race, that was once focused on sea journeys and wielding power and control over coastal human settlements. Even as seafaring and coastal settlement people they adminstered themselves with a controlled pyramid style pecking order of king at the top and then various ranks to the mass population at the bottom. They always had some kind of feudal system where the masses worked to supply the ranks above them with the King being the rular or 'owner' of it all. Many of us have learned that these Norse, became Normans, evolving from being a seafaring and coastal race into taking control of the roman-angle-saxon monastic culture through building grand fortresses, supposedly to protect them from the Gaels, and through this building huge churches and bigger cathedrals and symbols of power justified by their interpretation of their single god religion. Yes, from sea to land they evolved from their faith in a network of various warrior combatant gods and goddesses into a singular God, that was influenced by the assimilated Roman and new Saxon faiths. This singular God also took on a kind of warriorship image. 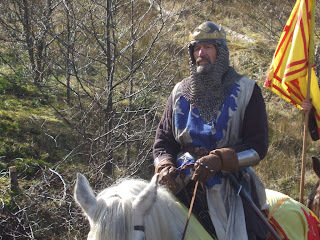 The Gaelic people did not have the concepts of kings and ownership. They seem to have lived through a guidance of chieftains and stewardship. Their ancestors also seem to have been sea people who settled into coastal farming, but also assimilated people of forest culture too. Their 'kings' were not human like pharaohs but something unseen that their storytellers, bards, seers and druids described through their stories of gods and goddesses . The Gaelic people concerns were seasons, weather, and relationships to the land of forests, wildlife and farming. Their way seemed to have been a way of co-operation, welfare for each other and respect for their resources They remained as boating people because their lands were a network of islands. Also worth noting is how their chieftains seem to have some kind of medicine man close by as a guide, a person many of us today may call a Druid, Seer or Shaman. Compared to the feudal ordered pyramid culture of the Anglo Irish Normans, the Gaels seem like they were an equality based aboriginal culture. They seemed to have been that way for 1000s of years until the earlier Roman-Angle-Saxon approach of monastic living spread around their lands. This new culture seem to enjoy more abundance than their old ways so gradually a new Gaelic faith evolved, where they pooled their gods and goddesses beliefs into a singular Christ Consciousness through the teachings of the Culdees, the Céile Dé . So, along comes the brothers Edward and Robert the Bruce. Their heritage was Norman but their life quest was to help the Gaels push away the advancing Normans and their culture on their land. They fought this through using their own inherited Norman instincts. They achieved the trust in Gaels and, with them, instilled the goal of pushing the Normans away to build a new nation of GaelicScotia, that was larger and beyond what was currently Erin and Eara Ghael. Eara Ghael is what is now Argyll in Scotland. Say Eara Ghael a few times and you will see where the Argyll name came from. Now I look forward to part two of this absorbing docu drama, After Braveheart. Do we live among theses two opposing cultures today? What this part one revealed to me, and reminded me of, is the opposing human cultures. On one side, there is the human race who live to justify a morality of ownership, accumulation, selfishness, greed and slavery. The other side is the human race who live to justify a morality of co-operation, sharing, equality, social service and stewardship. During this first episode of the 'After Braveheart' drama documentary, there were quotes from an old manuscript that called the Gaelic people a rude, lazy and idle race :-). I suppose a focus on stewardship rather than accumulation can 'make' us this way. Even the ancient art of both races is different. The pyramid culture or order, such as the Normans and the Norse and Germanic people before them, seem to express themselves through knots, snakes and geometric angular shapings. 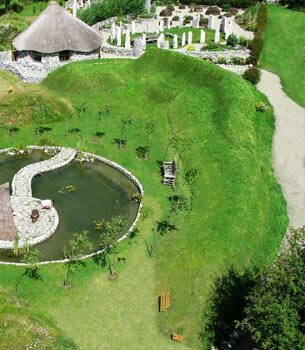 Gael people and culture expressed itself through rings and spirals, which to me, seem to be inspired by the rings or trees and the ripples of water. Even more profound, to me, is that the 'pyramid' cultures, like the Normand and Romans, have the assertive defined words of 'yes' and 'no' in their language, which 'Gaels' do not. We see this culture division fought in politics today with the 'right' and 'left' wing approaches. Constantly, within the politics arena, we see a lifestyle of personal accumulation and control is challenging the liefestyle of sharing and social responsibility. When I was a child, sometimes being treated to matinee B movie 'westerns' at cinemas I remember visioning this divide through the images of 'cowboys vs indians'. I used to feel sorry for the Indians. Later, as a teenage student, that division seemed be revealed through the opposing images of 'scientists vs artists'. Can we overcome fears of the Gaelic Ways? It seems a majority of people, today, are very scared and fearful of the 'Gaelic Way'. They fear it's disorder, trust in the present and even avoidance of categories and rebellion against boundaries. They fear its call to service, believing that this is enslavement. There is fear in the call to 'sharing' as this causes the self protected concept of 'what's mine is mine' to shatter. On Sunday afternoons, we meet as Bards In The Woods. Through these meet-ups we hope to share a bit of what we interpret as Gaeldom today. We usually meet in public woodlands so the intimidation of individual land and woodland ownership is not present. We share what nature is providing without control from ourselves, and through a picnic we share our food in merriment and it does not matter is someone brings a lot of food and someone else just brought a tea bag :-) It about what we have and who we are in the present. It is all very relaxing. In part two of 'After Braveheart' I wonder if the outcome of the Bruce brothers did actually guide the Gael people into an expansion of their ways? - Or did it convert the Gaels into, yet, another culture of accumulation? I will come back to this. 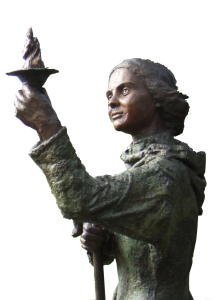 In 9 days time people in Ireland will start to celebrate either or both Brighid's Day and Imbolc, Brighid's Day for most people being February 1st with preparations made on January 31st. 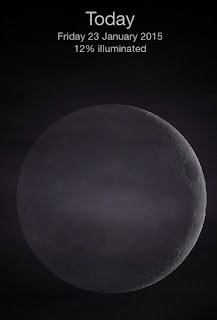 Imbolc being the cross quarter time between midwinter and spring equinox, which this year is 9:55 pm on 3rd February. 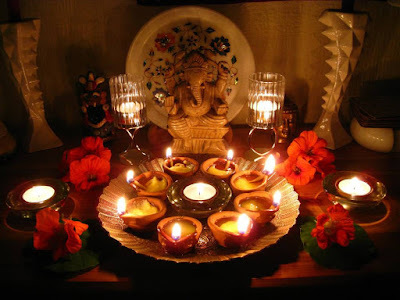 As most people make these Celebrations weekend events, as they are committed to other things Monday to Friday and there is no national holiday at this time. This year, 1st February is a Sunday, meaning Brighid/Imbolc meet-ups then are going to be very popular and busy. Kildare, Co.Galway, Co. Louth and Glendalough. Hosting Feile Bride from their new centre from January 31st until February 8th, with celebrations at the Wayside and Tully wells, lectures, meditations, workshops, music and cross making. Saturday January 31st, 7:30pm They will celebrate Brigit's Eve, Oíche Bhríde, in their Roundhouse with an evening of Brigit traditions, cross-making, music, ritual and reflection. 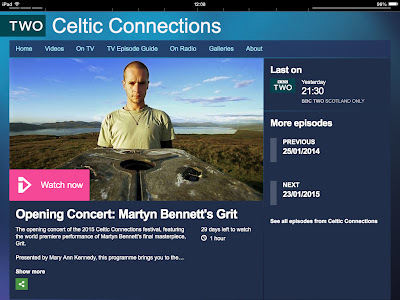 My wish was to attend the first ever live performance of the late Martyn Bennett's 'Grit' album, which was the opening concert of Celtic Connections 2015 this month. Of course, I did not go, but read that BBC Scotland was going to broadcast their recording on it last night, Thursday, 22nd January, at 9:30 pm. I worked out the hack to include BBC Scotland in my 'Other Channels' on my Sky Box, and so we were ready to watch live !!! The concert was conceived, arranged, and conducted by violinist Greg Lawson, from Newcastle and also violinist member of the Scottish Symphony Orchestra. His goal was to break out Martyn's electronic loops and samples into real instruments orchestral arrangements. Martyn was forced to record his final album using loops and samples as he had become too ill to perform with his musical instruments any more. This concert is a remarkable privilege for anyone who see it, and especially for anyone who was there. Fiona Hunter's voice did not seem the best for this, quite a screech, I think I would have liked to have heard Mary McMaster with this one. All's forgiven as the orchestra enter into this beauty of a song. The arrangements and sound start to become stunning. Fiona Hunter suddenly sounded great, though the lads attempting a Gregorian chant backing seemed to get a bit lost and a bit out of time, but I am nitpicking as by now we were really into an exceptional concert. Everyone tried hard, but somehow lost the impact here. The orchestra needed more umph here, but the let down was lack of voices. This track needs a powerful gospel choir. Annie Grace tried hard to lead the woman's chorus but their voices seemed thin and drowned. Having said that, Annie voice carried the children's song section of this track perfectly well. Good performance really, but I thought is lost too much edge. Actor David Hayman provided excellent voice for the Psalm 118 section of this, while singers Ann Martin and Catherine Joan MacDonald sang a lovely Gaelic version in the background, and all of this supported by a beautiful enchanting orchestra arrangement. I don't know why, but performance of this song was not memorable to me after, so I find myself having little to write about it. I cannot remember who sang it either, just remembering it was pleasant and very good. Oh, Wow! Wow! Wow! - to me this was the absolute highlight of the concert !!! What a sensitive and hypnotic minimalist arrangement and performance this was. Extreme beauty starting with a delicate piano intro that smoothed into dreamy strings. Sensational! Not all of the tracks from Grit were performed in this concert, well not on the broadcast, anyway. as I gather there were two encores. The missing tracks were were 'Rant' and 'Storyteller'. The avante garde Paisley Spin was the last track of the concert, and perhaps the most complex for the orchestra to get around, but they did it with extreme skill and passion. This was completed with a fusion of singer Rab Noakes voicing lines from Gerry Rafferty’s 'To Each and Every One of You'. The conductor, arranger and magician of all of this performance, Greg Lawson, gradually turned his baton towards conducting the audience who beautifully and soulfully joined in a chant of. I say, "Goodbye, farewell, adieu"
... from the Gerry Rafferty song. This was one of the most moving moments I have ever experienced from a concert. Of course there was an encore! :-) There was two! Conductor, Greg Lawson took on the small vocal ... and then it was sheer energetic madness !!! You could tell the orchestra thoroughly enjoyed themselves with this one by just letting everything go. This is a piece I believe every orchestra would love to do, to unravel. For this Celtic Connections orchestra, this encore was a present for them for providing such an amazing performance. For the audience, it must have fully recharged them. To watch it again, if you are in the UK, its now on the BBC iPlayer app. so if you are outside the UK, you could try for entry through the Hotspot VPN app, look for it in you app search. Claire Roche and I performed Yeats poems at Hargadon's Bar, in Sligo town, and enjoyed a lovely lunch there with friends yesterday, Thursday 22nd January. Each day for 365 days, Hargadon's are having someone read their favourite Yeats Poem at 1 pm, then one or two other's read their favourite after. Claire Roche performed her song version of Stolen Child, which attracted a very warm response. 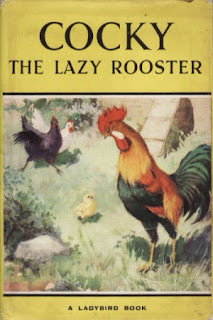 I followed with two short poems, 'Coat' and 'Fairy Song'. 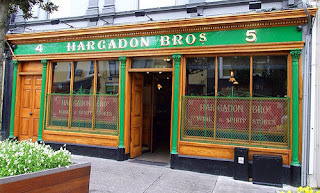 Hargadon's are looking for further Yeats fans and readers to book in and read their favourite poems at 1 pm, 6 pm on Sundays. The response is excellent :-) ... so please book yourself in to recite.